1. 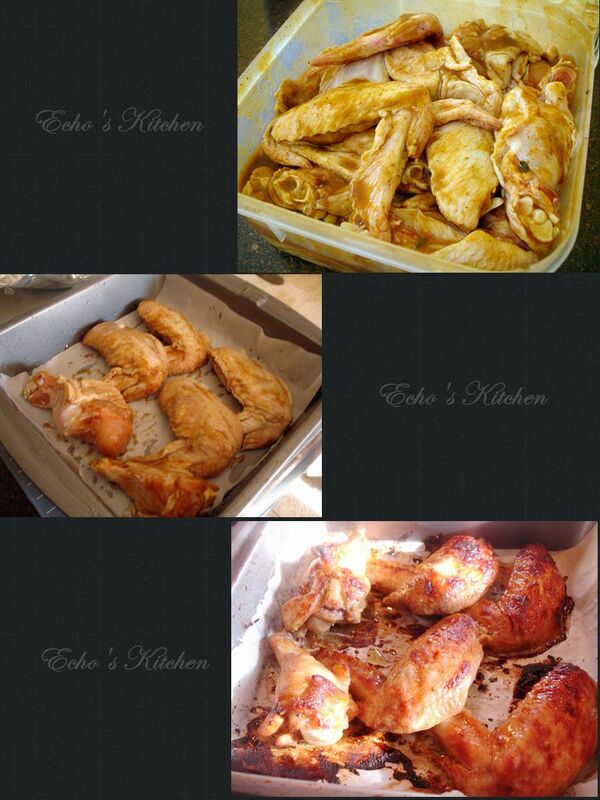 Marinate chicken wings with all the above ingredients for at least 2-3 hours, I did mine overnight. 2. Place the wings on a baking sheet lined with parchment paper and broil for 10 minutes, turn the wings and broil for another 5-6 minutes or until slight charred.